French Prime Minister Manuel Valls presented his government’s resignation on Monday, a day after Economy Minister Arnaud Montebourg called for new economic policies and questioned neighbor Germany’s “obsession” with budgetary rigor. 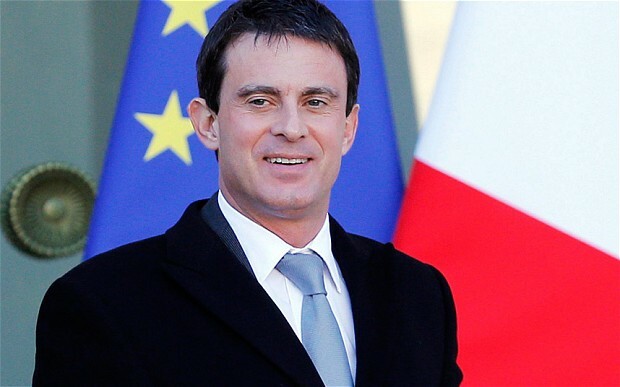 Valls was asked by President Francois Hollande to form a new team only four months ago but has continually had to reconcile policy differences between leftists such as Montebourg and more centrist members of his Socialist-led government. Montebourg at the weekend said deficit-reduction measures carried out since the 2008 financial crisis were crippling the euro zone’s economies and urged governments to change course or lose their voters to populist and extremist parties. Finance Minister Michel Sapin acknowledged this month that weak growth would mean France missing its deficit-reduction target for this year but stressed the government would continue cutting the deficit “at an appropriate pace”. The weakness of the economy was a major factor in Valls seeing his approval rating drop to a new low of 36 percent this month, while Hollande remained the most unpopular president in more than half a century, an Ifop poll showed on Sunday. Valls was appointed to lead the government in a cabinet reshuffle in March, after the ruling Socialists suffered a bruising defeat in local elections.